Living in the Sunshine State of Florida, we’re blessed to have sun almost all year round. Which is why I love this Sunshine Cookies recipe. 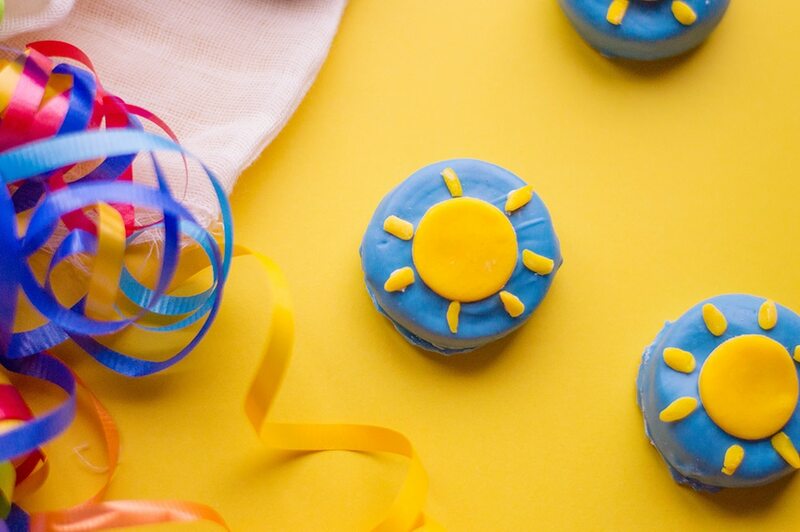 These cute sunny snacks are the perfect way to celebrate Summer, they’re great treat for road trips, or the cookies are a fun way to say that you’re planning a Florida vacation soon! 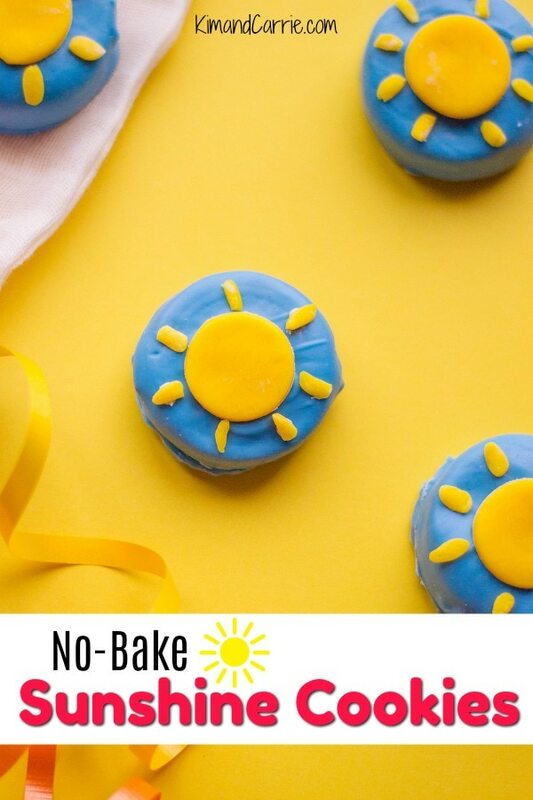 Can you imagine a plate of these bright and cheerful sunshine cookies at your next BBQ, bake sale or summer picnic? We think they’re the best no-bake cookies that look like it took you hours to make. If you’re heading to Disney World in Orlando, we’ve got lots of fun Disney recipes to enjoy before your vacation, too, including Incredibles Treats, Winnie the Pooh cupcakes, Toy Story Alien Gelatin Cups, Thor Hammer Cupcakes, Captain America Shield No Bake Cookies, Avengers Black Widow Snack Cakes, Star Wars Drinks for Kids, Star Wars Cocktails for Adults, Finding Dory snacks and more. Be sure to Pin this recipe for later if you’re not making them right now. 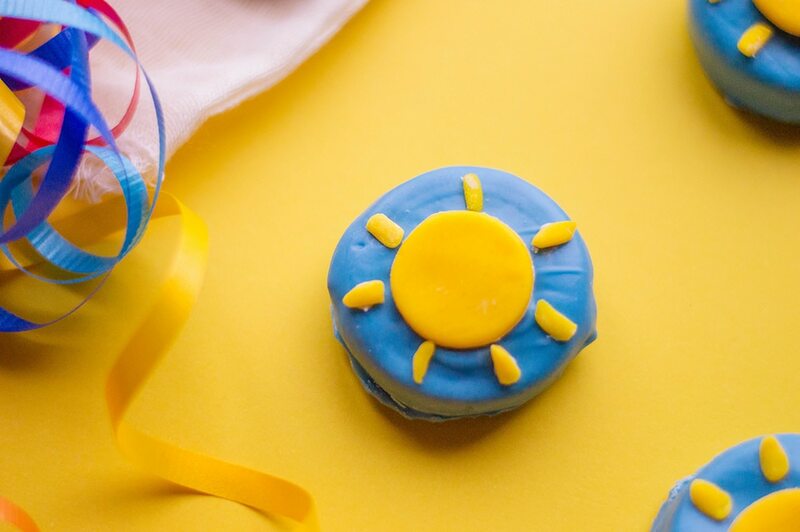 This Sunshine Cookie recipe is too cute to lose! Line a baking sheet with wax paper and set aside. In a microwave-safe bowl, microwave candy and coconut oil in 30-second intervals until completely melted. 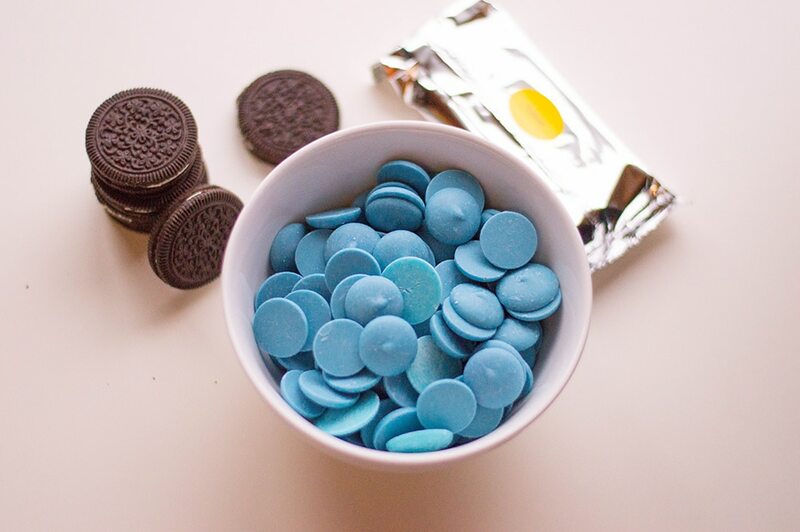 Dip each Oreo cookie in melted candy and coat cookie entirely. Carefully place on lined baking sheet and allow to set in fridge for about 1 hour. 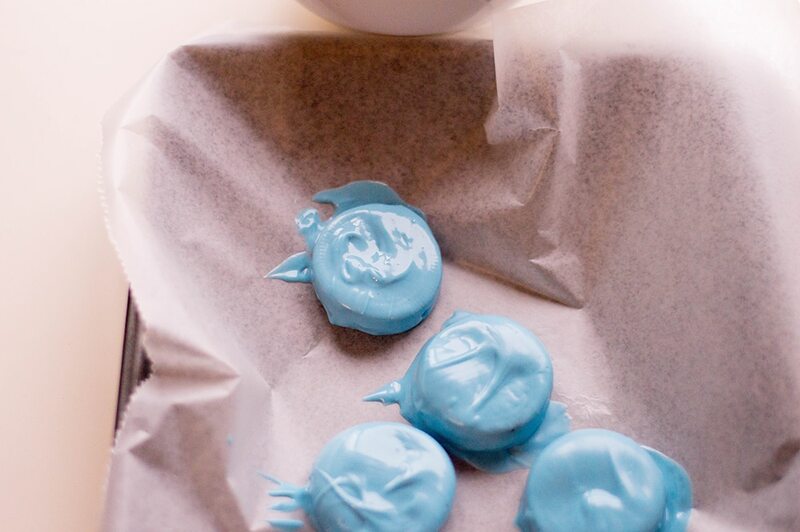 Cover a clean working surface with cornstarch and roll out your fondant, about ¼ of an inch thick. Cut out small circles and set aside (I used a Wilton 1M tip to get the perfect size). With scissors, cut small rectangular strips and set aside. 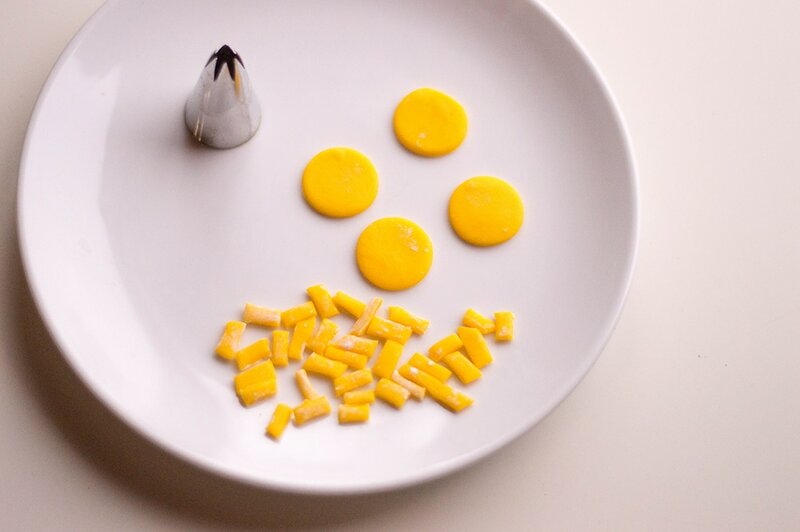 Once cookies are set, spread some buttercream on the back of your fondant pieces and assemble to look like a sun on each cookie (you can use a toothpick to apply the buttercream for the sun’s “rays”). Who do you want to spread a little sunshine to?